There are few things in this life that are locks - stirring speeches set to images of utter despair in Michael Bay movies, Brad Pitt biting his lower lip a minimum of once per scene, Justin Timberlake owning his role utterly failing as a leading man - add another to the list: Leonardo DiCaprio winning the Best Actor Oscar come February 26, 2012. His portrayal of the man that built the FBI in "J. Edgar" (complete with brown contact lenses) is nothing short of astonishing - that said, John Voight is equally brilliant playing the elder Edgar - hold up, that was DiCaprio?!? The man is God incarnate. The movie plays through the eyes of John Edgar Hoover himself - delivering his account of his meteoric rise to the top to a litany of dictation-takers - the moment one doesn't answer Hoover's questions to his liking - replaced. Hoover's life was wholly influenced by two people: his ironhanded mother (another Oscar-nom, Judi Dench) and right-hand man Clyde Tolson (the hat trick of Oscar-noms, Armie Hammer) - in fact, the exploration of those two relationships are the very core of "Edgar". Much has been made of Hoover's private life and how it would be portrayed in the film - let's put it this way, writer Dustin Lance Black (Milk) has a very distinct take. Hoover and Tolson's close relationship is not just explored - it's exposed. We are clearly lead to believe that Hoover was a closeted homosexual - even if he never "acted" on it. That interpretation is what's going to be at the heart of the inevitable debates over just how accurate "J. Edgar" is. With a runtime of 150 minutes - "J. Edgar" is plagued by some meandering moments, but when you attempt to pack a historical figure's life into one parcel like director Clint Eastwood has so adroitly done (in a film shoot of 39 days no less) - it's a prodigious task to prevent. 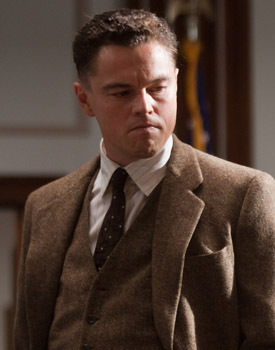 Regardless of how you feel about the film's vision of Hoover's private life, you have to respect "J. Edgar" for the conviction of its depiction - very much like the resolve of the despotic man it so vividly portrays.